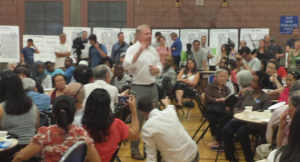 Seattle Mayor Ed Murray just announced his Safe Streets Healthy Schools and Communities: 5-Year Action Plan. Parents, caregivers, and school neighbors all over Seattle are eager to put this plan into practice. 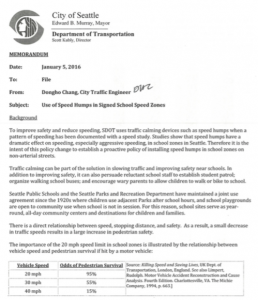 Seattle Department of Transportation (SDOT) offers Safe Routes to School mini-grants of up to $1000 that are easy to apply for with a letter of support from a school PTSA or Principal. (Deadlines April 30 and Oct 30). SDOT mini-grants can be used to do safe routes audits that help to put the Action Plan into action! 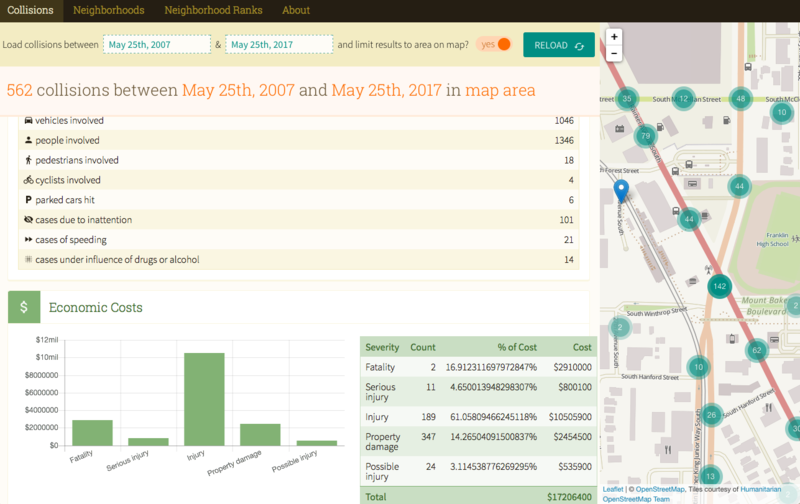 The Action Plan comes with a variety of thoughtful tools for making Walk Zones around Seattle schools safe for our kids. The tools include an engineering toolkit and a guide to managing school drop off and pick up. 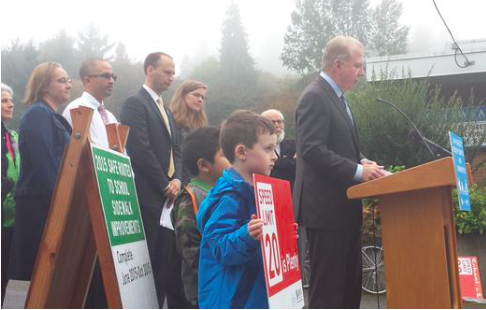 Safe Walk Zones for our kids is a high priority for Seattle Neighborhood Greenways. 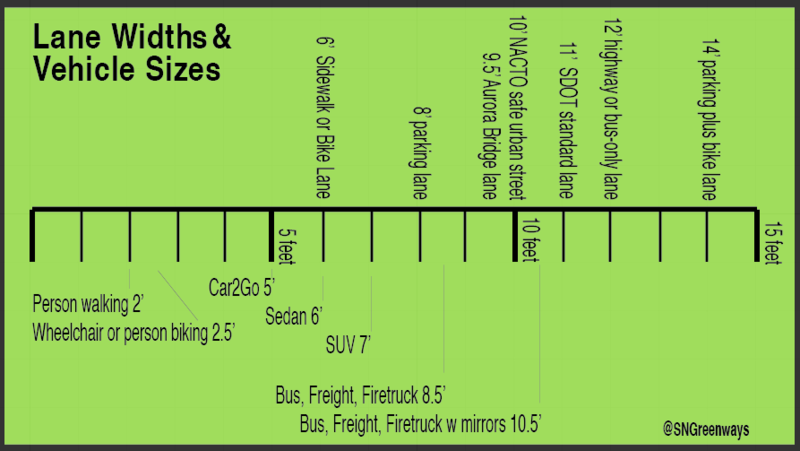 We recently teamed up to do a workshop with Brian Dougherty, Seattle Department of Transportation’s (SDOT) amazing Safe Routes to School Coordinator who explained the use of the SDOT toolkit and more. Five local neighborhood groups changed their streets on a grand scale on Friday September 18. 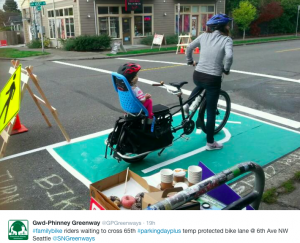 People in Rainier, Ballard, Ravenna, Bryant and Fremont were winners of Seattle Neighborhood Greenways first annual PARK(ing) Day Design Competition. 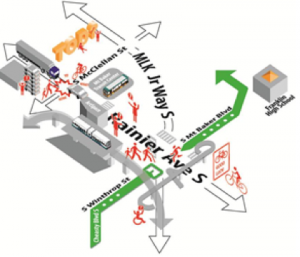 Instead of endless public meetings, design charettes, and flat conceptual drawings, we helped these four groups build protected intersections in Ballard and Bryant, and thousands of feet of protected bike lanes in Rainier and Ravenna. Here’s a look at what happened. 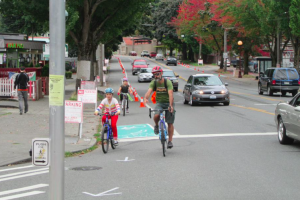 A crew, led by visionary Shirley Savel, and leaders Adam Dodge and Travis Merrigan, built 2000 linear feet of bike lanes out of white chalk, white duct tape, green butcher paper and traffic cones on both sides of Rainier between Columbia City and Hillman City. 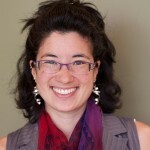 The co-leader of Ballard Greenways, Chris Saleeba, also works at one of Seattle’s best bicycle and pedestrian design firms, Alta Planning and Design. 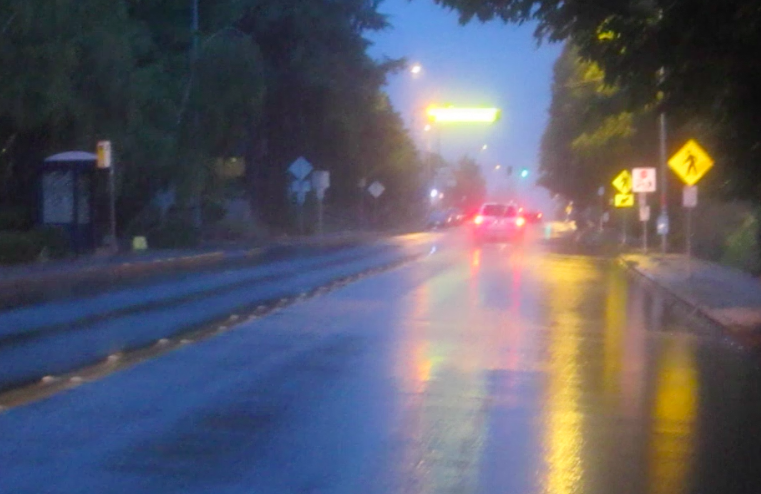 Chris, Fred Young, and Steve Durrant of Alta created a protected intersection that was extremely effective at slowing vehicles and allowing people to safely walk and bike across NW 65th and 6th Ave NW, just where the next north-south greenway in Ballard is planned. 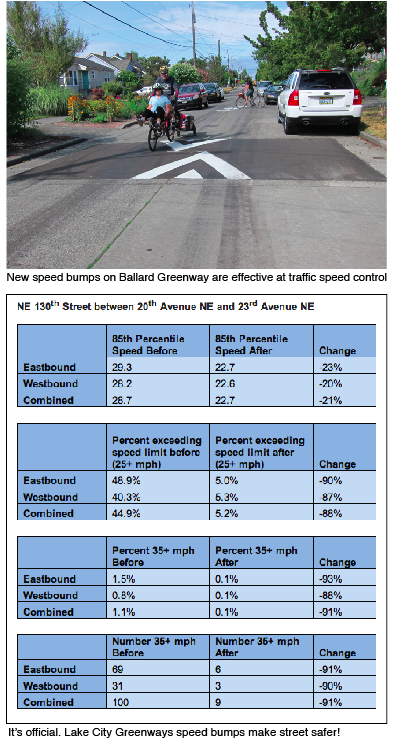 The Seattle Department of Transportation concurred NW 65th and 6th NW was a high priority for safety improvements and added a permanent crosswalk in record time. I got my ballot in the mail today! If you live in Seattle and are registered to vote, you will get to choose two at-large City Council candidates, and one Council candidate who represents your District. For the past year, Seattle Neighborhood Greenways has been organizing its advocacy priorities, local groups and volunteers by District as well. 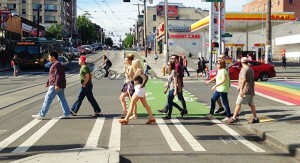 We believe District elections will significantly change the face of Seattle projects and policies. This is a run-off primary election, with ballots due August 4. The top two vote-getters in each position will advance to the November elections when we will choose our nine City Council members. Most of the Districts and at-large positions have many candidates running (there are over 40 people running for nine seats). I admire every person who has chosen to run for City Council. Every one has made a sacrifice of their time, their money, and their energy to put forward their ideas about how to make Seattle a better and more livable city. 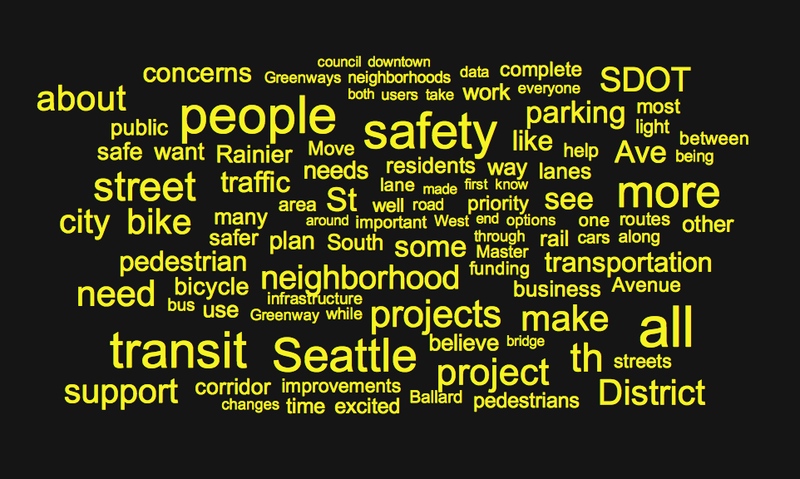 Local Greenways group leaders came up with just two questions that we asked of all 40+ candidates. You can see candidates’ complete responses at the bottom of this post, on this Google spreadsheet, or this Excel pdf. 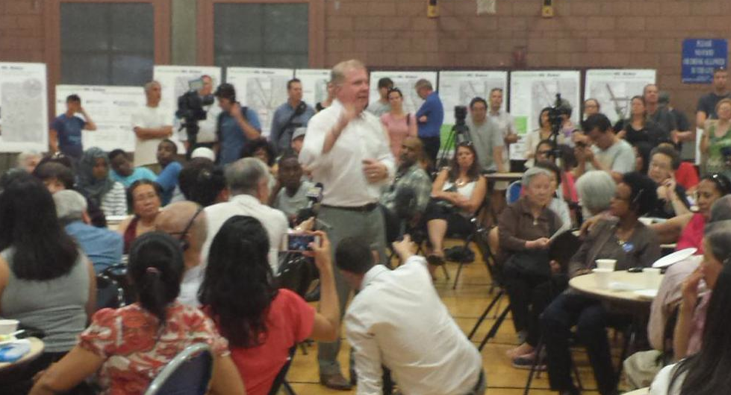 Question 1: What street or transportation projects proposed for your District get you excited? What projects will you push for, and what might you oppose? 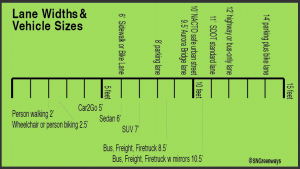 Question 2: Envision a major street running through a business district in your neighborhood. 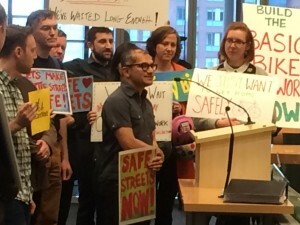 Now that you’re a City Councilmember, you hear from residents and business owners who are concerned that an SDOT project to increase safety for people walking, biking, driving, and taking transit on this street may impact some on-street parking and slow down traffic by an estimated thirty seconds per mile. 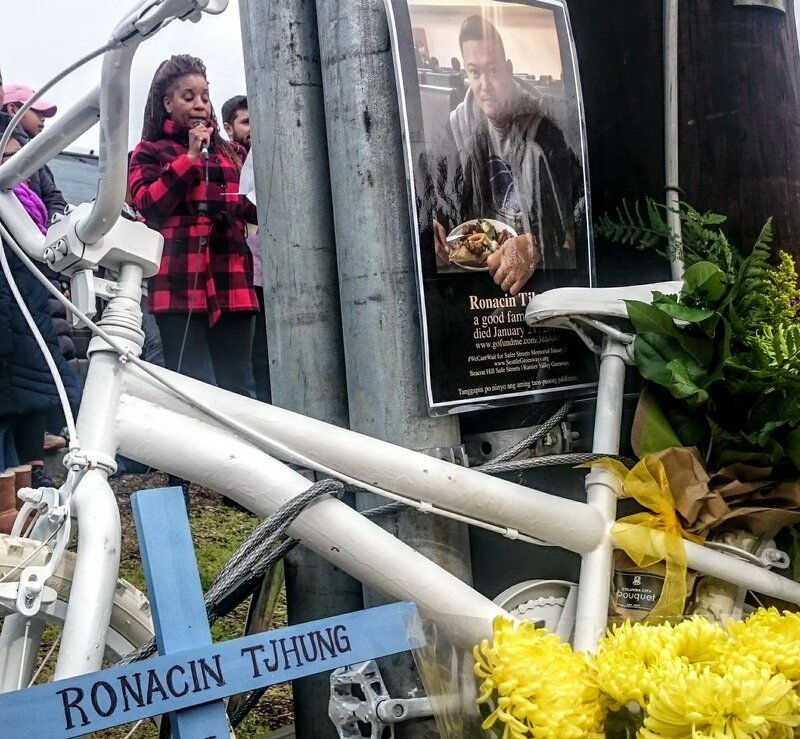 You also hear from parents, seniors, and people who live and work in the area that they really want their street to be safer. The illustration below is a word cloud of all candidate answers.